With an open-mind, strong listening skills, and good attitude you are good to get into real estate flipping, but that alone is not going to help you out. Jumping into the world of real estate entrepreneurship or investing on a full-time basis with the aforesaid qualities and some prior knowledge will help you reap the fruits of your labor. But how do you gain the right set of knowledge without bewildering is the big question mark. Do not fret! 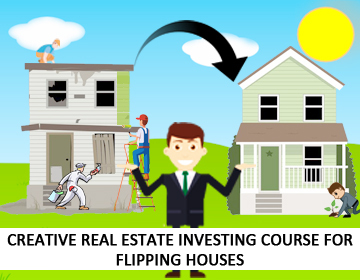 Zack Childress real estate investing course for flipping house is said to help! While there are several things you will come to know reading this book, you will also unearth strategies what most people will never know about investing in real estate creatively (without cash or credit) and flipping houses. Is real estate right for you? Having said all that, by reading this book, most importantly you will learn how to fix and flip your first flipping deal with no experience. Who wants to make money flipping. Who has a desire to learn about real estate investing and make extra money, fixing and flipping houses, while still maintaining their day job! Who wants to network with other students who are passionate about doing real estate deals! Ideal for individuals who have little to no knowledge of finding, financing, fixing or selling houses, because this course teaches how to work with other professionals who are experts and will find, finance, fix and sell your house for you. So what are you waiting for? Loaded with so many benefits, it’s the right time that you get this book and get ahead in flipping houses and earning profit.